Carol King admires a magnificent fresco cycle by the Brescian painter who foreshadowed Caravaggio. Michelangelo’s frescoes in the Sistine Chapel in Vatican City are famed the world over. 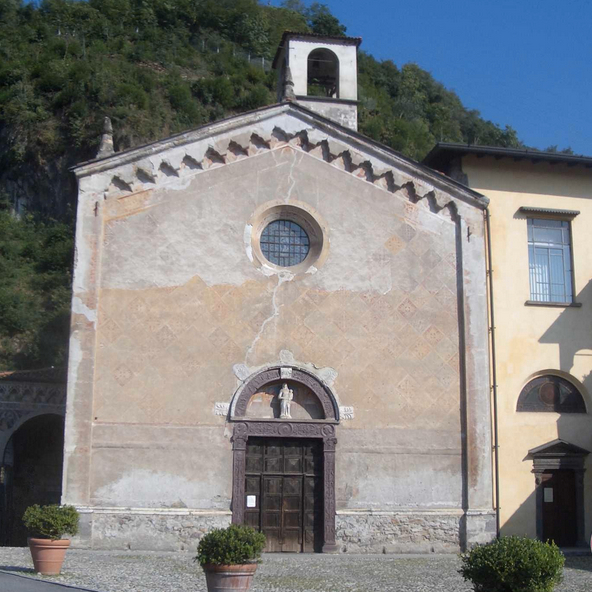 The frescoes painted on the ceiling and walls of the small 15th-century church of Santa Maria della Neve (Saint Mary of the Snow) in the town of Pisogne on the shores of Lake Iseo in Brescia, Lombardy are less known but were inspired by Michelangelo’s masterpiece. 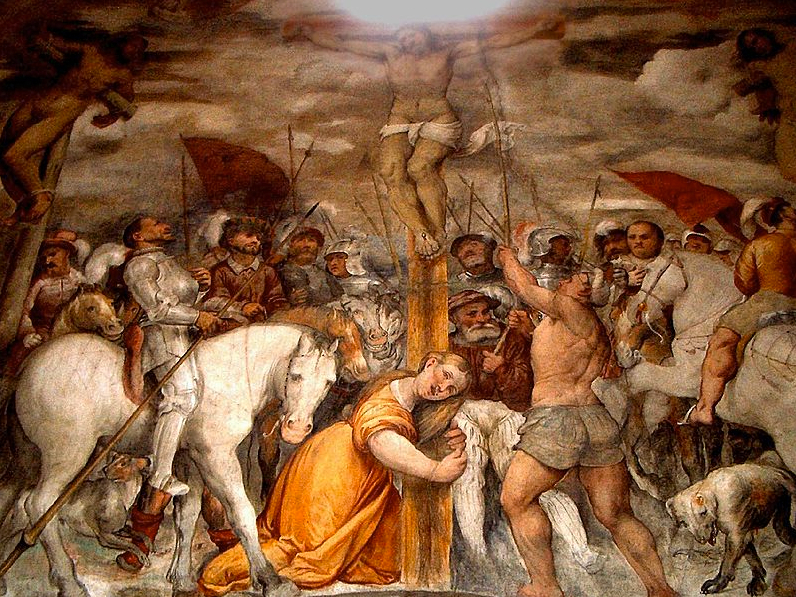 The frescoes that adorn the interior of Santa Maria della Neve depict the Passion, Death and Resurrection of Christ. They are the work of Renaissance painter, Girolamo Di Romano, known as ‘Romanino’, who spent his early years in Brescia, Trento and Cremona. Romanino was commissioned to paint the fresco cycle c. 1534 by the Augustinian religious community that built the sanctuary. He had studied with the Venetian School and is believed he had seen Michelangelo’s work in the Sistine Chapel. Romanino was well known locally, and by the time he came to paint at Pisogne, he had worked for the Bishop of Trento, Prince Bernardo Clesio, on the Palazzo Magno section of Buonconsiglio Castle in Trento. At that time, Pisogne was a flourishing market town that served the surrounding valley because of its location at the northern tip of the lake and the junction of two roads that cross the surrounding mountains. The town is also a stage on the Antica Strada Valeriana (Ancient Valeriana Way), which was a pilgrim route that ran from Pisogne to Pilzone, some 15 miles away. The Augustinians chose Romanino to paint the frescoes rather than a jobbing so-called ‘pilgrim painter’ because they could afford to do so. Moroever, the church was important as it was where pilgrims would begin their journey along the Antica Strada Valeriana. It was a time when the Catholic Church was eager to get its message across – that of a united Church and Christ’s redemptive power –after the schism in Western Christianity prompted by the Protestant Reformation of 1517. The religious community chose a respected artist to convey the importance of their teachings to the people. The frescoes are remarkable for Romanino’s dramatic break with contemporary artistic convention, seen in his sweeping, near frenzied, brushwork that marks a shift in style from the refined classical idealism of the High Renaissance to the lively Mannerism exemplified by Caravaggio. Romanino’s earthy figures are notable for their stark realism, dynamic poses and gaze at the viewer. His compositions are packed with action and luxurious colour. The cycle possesses a remarkable fluidity that the artist created by portraying the relationships between complex groupings of figures via their gestures and glances. Romanino’s realism adds a sense of pathos to the scenes that were intended to encourage religious belief through meditation rather than serve as votive images for veneration. The interior is one large nave spanned by three pointed arches with a ceiling of cross-oblong vaults. Romanino painted a sky on the vault covered with sibyls and prophets in animated poses that appear to lean out of the architectural space as if to talk to onlookers. On the church walls, Romanino spurned static groupings of figures, opting for lively crowd scenes under grey skies. His figures are clad in contemporary dress – soldiers wear armour and nobles sport elegant hats – to promote a sense of daily life and inclusiveness unusual for the time. He even included a dog in his Crucifixion scene to emphasise the everyday and symbolise the faithful. 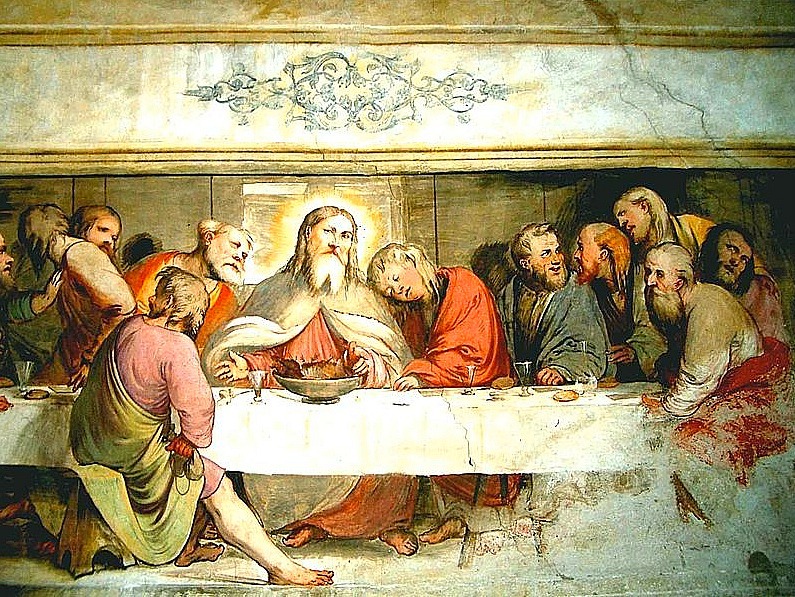 Such is the impact of the fresco cycle and the compelling nature of its vibrant figures that Italian writer Giovanni Testori nicknamed the church the ‘Sistine Chapel of the Poor’ – the name has stuck ever since. 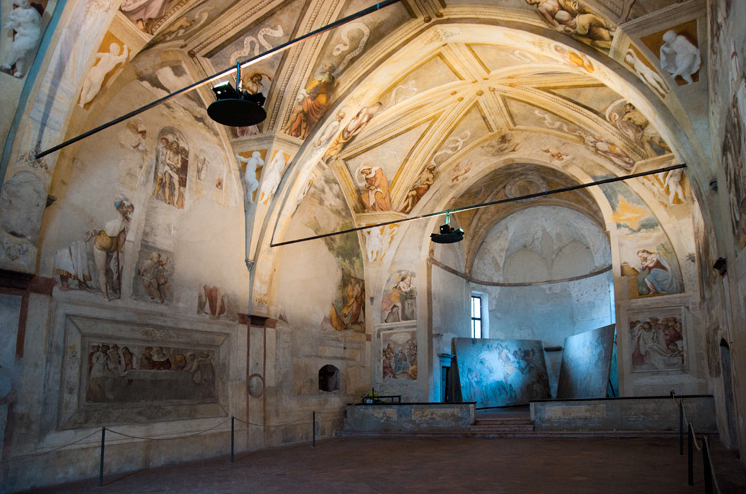 Santa Maria della Neve is no longer a consecrated building, but it is open to visitors who want to see Romanino’s frescoes. Contact details: Chiesa di Santa Maria della Neve, Via Romanino, 25055 Pisogne, Brescia, Lombardy, Italy. Opening hours are 9.30am to 11.30am and 3pm to 6pm, Tuesday to Sunday.